We will provide coffee, tea, juice, cups, plates and cutlery. All contributions welcome: finger foods, sandwiches, hot dishes, cold plates, drinks, etc. We will be partaking in the food while we enjoy our activities! Our very own Tara Moore is going to demonstrate how to make a seasonal centrepiece! Some other optional items you may wish to decorate with are ribbon, pine cones, berries, and a candle. Welcome Donna Evers - Water Works! Social time and any special announcements. 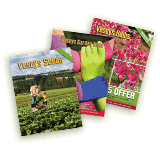 Special guest, Donna Evers presents Trees, shrubs and perennials for the moist, wet and down right boggy areas of your garden. Donna Evers, a master gardener in Hammonds Plains, will be treating us to her wonderful presentation on gardening for wet spaces. Donna’s gardens are breathtaking and awe-inspiring, not only for their beauty but also for the amount of physical labour that they require. Gardening and her love of plants and nature is truly a passion and her knowledge of all-things plants is broad. She has asked that everyone come prepared with a ‘general gardening question’ for us to discuss as time permits. Welcome Back Cora Swinamer - Pruning! If you have some pruning challenges or ‘gaffs’, bring your photos on a jump drive and get advice on how to tackle these as well. Marian Munroe, Curator of Botany with the NS Natural History Museum, will talk about working with nature as we garden. As an avid NON-gardener, Marian will present a botanist’s view of Nova Scotia gardening using native species. Steeped in folklore, ethnobotany and very little horse sense, her talk promises to engage and provoke! Spring social and Garden Tour at Donna Silver's house!! Donna is going to take us on a tour of her amazing property and answer questions related to how they have accomplished such an oasis! It's a world class potluck affair - yummmm! Early drop-off location to follow!! A reminder to take pictures for September's show and tell meeting! Cora Swinamer is a Landscape Designer from Head of St Margaret’s Bay and is the owner of Under the Arbor Landscape Design (www.underthearbor.ca). She was formerly president of the Atlantic Rhododendron and Horticultural Society. She prepared this Power Point presentation for the Society to further their mission to educate and expand the use of Rhododendrons and other Ericaceous (acid loving) plants in the landscape. Cora is a passionate gardener and has spent the past 20 years expanding her collection of rhododendrons, magnolia, ornamental grasses and Japanese Maples. 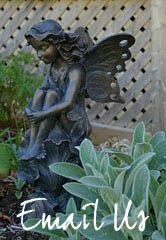 Her gardens have been featured previously in various Garden Tours as well as the former East Coast Gardening Magazine. Her Landscape Design business allows her to share her knowledge and passion for plants with others.The talk covers topics including how to select and grow rhododendrons and azalea in our maritime gardens. It includes wonderful photographs of the plants and how they look in mixed borders. You will receive a handout that lists the ‘Top Ten’ rhodos and azaleas prepared by the Atlantic Rhododendron and Horticultural Society. Valerie will be sharing some fun ideas for making your own decorative garden art projects and we'll each be making a little something to take home with us. The later part of our tea party will include a round table discussion about our garden ideas for the coming season followed by a gardening video interlude. Guest speaker - Crystal Godfrey (Secret Gardens by Crystal). Crystal Godfrey will present Matching Plants to Conditions: addressing specific situations such as wet areas, alpine gardens, condominium and balcony gardening challenges, woodland gardens, trees for small yards, sun vs. shade loving plants, planting for bloom time and year round interest, hedging and privacy, and dealing with deer! A PowerPoint presentation of inspiring local coastal gardens and talking about how success was achieved so close to the sea. Denise Adams is a lifelong seaside gardener who holds a Master of Arts and Art Education from the Nova Scotia College of Art and Design. During her studies, she held positions of bilingual tour guide for the Maritime Museum of the Atlantic and Citadel Hill. She began teaching French immersion and from there went on to teach art and sociology at the high school level in the Halifax Region. More recently, she has worked as a survey assistant and is now a landscaping consultant and custom home designer for Saltspray Holdings Inc. in the area of St. Margarets Bay, NS. Denise will have the following books available for sale, They will make great Mother's Day and Father's Day gifts (or gift-to-self)! Andrew has lots of experience keeping garden tools sharp! He's going to give us a hands-on demo with lots of tips for those tricky blades. If you have a garden tool that you find dull or tough to sharpen, bring it along! We'll be trying to book the art room at the Community Centre for this one! Rhonda is going to do a demonstration of how she makes an inexpensive wreath every year! Club Talks: Special Guests from our own club! Join us for a variety of 10 minute presentations from several of our club members who will be sharing their knowledge on a wide range of garden related subjects! This meeting will be very interactive and sure way to pick up some great tips! Sandra is going to share all about her experiences with greenhouse gardening! Seed / Book / Magazine Swap - continued! Jayme is returning! Last time she was here, she shared the story of the community garden on the hospital grounds in the middle of the city. This time, she will be discussing the diversity of native plants. 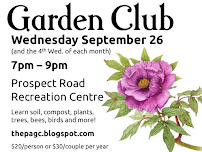 We have been invited to visit the Hammonds Plains Area Garden Club!! Bedford Hammonds Plains Community Centre, next to the CPA High School at 202 Innovation Drive from 7:00-9:00 pm. Simply go in the REC Centre entrance, up the stairs, turn left, and enter the first large room on your right down the hall. How to have a garden with a busy life: Join us for a presentation on Low Maintenance Gardening by well-known local gardening expert Marjorie Willison. 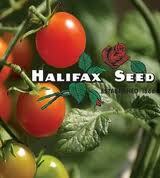 Sandra will also have some of her tomato plants for sale with part of the procedes going to Prostate Cancer Canada. We'll spend a bit of time planning the final details of the yard sale. Then we will enjoy a special video on day lilies shared by Ron and Joan. Drop off location to follow!! Peter Gamble has a Master's Degree in Architecture and when not designing buildings, you can find him in his Shad Bay Studio making noise and sawdust. Join us for an exploration of how he creates wonderful garden structures and outdoor art from a variety of found objects and available supplies. Special Guest: Robert Cunningham - soil, soil, soil and preparing for winter! Year-round landscaping - how to create interest throughout every season. Ideas about how to "layer" the landscape so that there is always something captivating going on. Information on effective succession planting in a garden so that it doesn't leave ugly gaps when plants die back throughout the season. Maybe even a few ideas about some plant combinations that work well together. An overview of the local Common Roots Urban Farm project, including how they build, plant and maintain each plot as a community. This month we are happy to welcome back the Hammonds Plains Area Garden Club! We'll start with getting to know each other better with a few snacks and a short guided activity. Marjorie is going to give us the low down on pruning our local plants and shrubs! She has a wealth of knowledge and this promises to be a very interesting evening! We were sold out in just over an hour last year!! Holiday social potluck - featuring garlic! We will be partaking in the food while we enjoy a talk by our special guest! Pam Newton was born and raised in New York City but has lived in Cape Breton for the past fifty years. A keen gardener she has been a member of the Westmount Garden Club for nearly forty years and soon realised that her favorite Club event was the annual flower show. She has participated in Westmount flower shows and in other flower shows on the island winning a variety of prizes along the way, and has convened, and co-convened, Westmount flower shows for several years. She also took part in the Toronto Flower Show and four times competed in the New England Flower Show in Boston where her flower arrangement depicting the Niagara Falls won second prize. At the Art Gallery of Nova Scotia she participated in the exhibit “Art in Bloom” in which art is interpreted with flowers. She also organised and participated in a number of Art in Bloom interpretations and demonstrations on Cape Breton. Creating your own pond or water feature. Description: This slide show presentation explores the unique and ancient history of ferns, the many ways of using ferns in the landscape, and the large variety of ferns suitable for Canadian gardens. Bio: Iain Jack is owner and operator of Fernwood Plant Nursery in Hubbards, NS. He is a graduate with honours of NSCC’s Commercial Greenhouse Production program. Also a social worker, plants have been part of his life and work for many years, from community organizing with community garden groups to recreational horticulture with persons with disabilities. In 2009 Iain decided to return to his horticultural roots and passion for propagation by starting a nursery. Inspired by a love of woodlands, wild and cultivated, Fernwood is a mail-order nursery dedicated to offering Canadian gardeners the best hardy ferns. Its goal is to explore and promote the diversity and landscape value of native and hardy exotic ferns. At last count there were over 50 varieties of ferns in the Fernwood collection. We will be discussing and collecting ideas for some of the best techniques and recipes for preserving your garden harvest through the seasons - fruits, veggies and flowers. Wendy and Valerie talk about spices - including some gift-giving ideas. Perennial orders forms released this weekend! Hidden Treasures of High Head. A walk from Prospect Village with wild orchids, symbiotic fungi and carnivorous plants. How plants cope with ocean blasts and little available nitrogen. holiday social at the Rec. Ctr. in the "Rubber Room"
Phil Warman: Soil pH, liming and plant nutrition. As part of his talk, Phil will bring his pH meter so that any club member can have a free soil pH test and lime requirement analysis... see our web site entry for this meeting for details about how to collect your soil sample. Summer social, at the Rec. Ctr.